Location, location, location: Both the Florence and Rome locations are an easy walk from the station, convenient if you need to eat on the run while traveling. The Florence location is in the San Lorenzo neighborhood, which has been the subject of much debate recently over the decision to close down its famous (or infamous) open-air market. The city had come under fire for letting the market gradually degrade into a kitschy, tourist-trap mess, and no one who really loves Florence is mourning its closure. 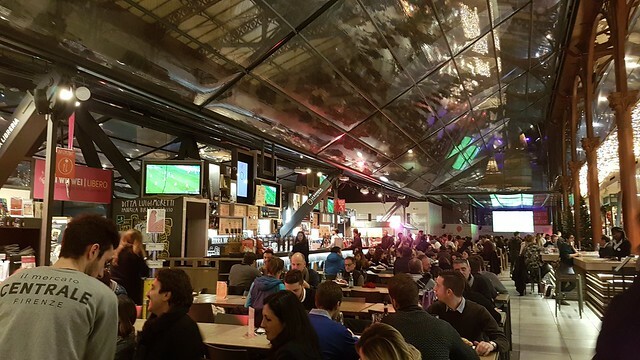 The nearby mercato centrale, where locals had shopped for fresh produce, meat, and fish for generations, had also become rather seedy, and the addition of a chic new food court upstairs has helped refresh the area and encourage visitors to discover this historic part of Florence. The Rome location is in the Termini station, but you need to exit the station and walk back in the direction of the tracks along Via Giolitti for a couple of blocks to enter. The cavernous space was designed by Angiolo Mazzoni in the 1930s - note the fantastic original marble-covered exhaust hood that looms over the room - and was the seat of the social club for railway workers for decades before falling into decline. 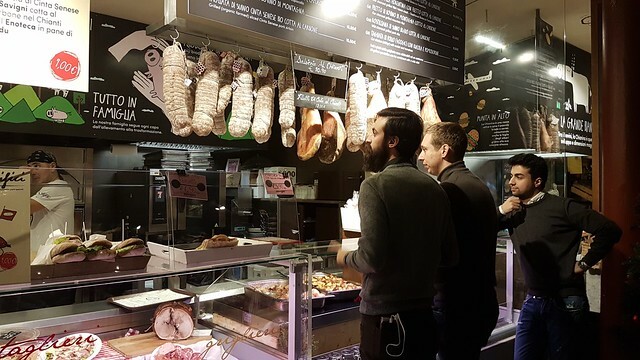 As in Florence, this area was leaning toward seedy until the Mercato Centrale opened, drawing crowds and spurring the city to start taking an interest in the neighborhood. No commitment: Say you have just a day or two in Rome or Florence and you'd like to try a number of local specialties or restaurants, but don't want to to commit to an entire meal of tripe or pizza. 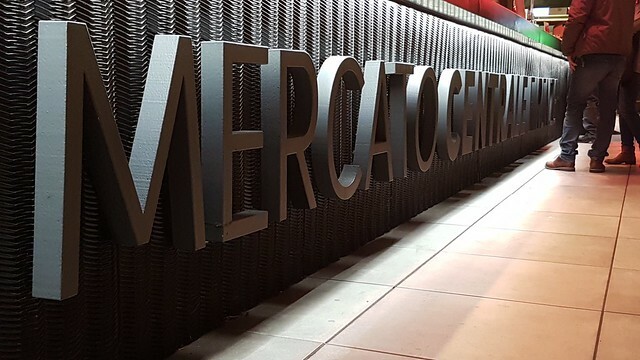 The Mercato Centrale is a great way to sample a mishmash of local goodies, or just stop in for a quick sample when you are feeling peckish. 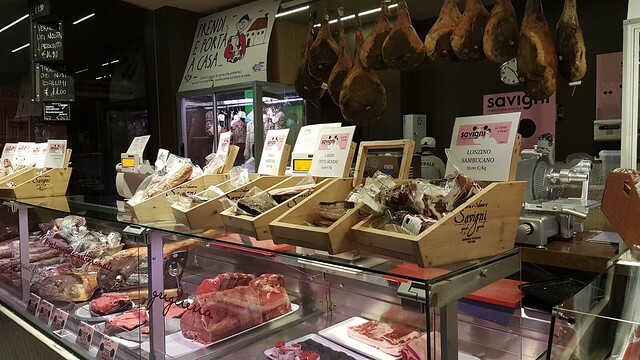 In Florence, try a traditional lampredotto sandwich with Lorenzo Nigri's signature salsa verde, Chianina beef hamburgers from Enrico Lagorio, a selection of Franco Parola's Tuscan cheeses, or pasta tossed with Savini truffles. In Rome, you can sample the much-lauded Bonci pizza and Trapizzini by Stefano Callegari, artichokes by Alessandro Conti, Beppe Giovale's cheeses, and pasta by Egidio Michelis. Flexible schedule: If you are somehow off the standard meal schedule due to jet lag or quirky travel times, the Mercato Centrale in both Florence and Rome are open all day from 10 am (8 am in Rome) to midnight. Most restaurants in Italy only serve for a few hours at lunch and dinner (usually around 1 - 3 pm and 8 - 10 pm), so if you need to eat outside those times you may be stuck with pizza by the slice or fast food. At the Mercato Centrale, you can have a decent sit-down meal that supports local businesses at 5 or 11 pm, which can be a lifesaver and won't force you to visit the Golden Arches. Events: In addition to food stands and shops, both the Florence and Rome locations host food-related events all year long, often highlighting a little-known specialty or chef from the city or surrounding region. Check the schedule on the Florence location's website and the Rome location's Facebook page to see what's coming up. Less bang for your buck: Both the Florence and Rome locations can be expensive. Though some options seem to offer a good price/quality or quantity ratio, others seem steeply overpriced. Since the food courts are self-service, you would expect to spend less than what you would for a restaurant meal, but that is not always the case. 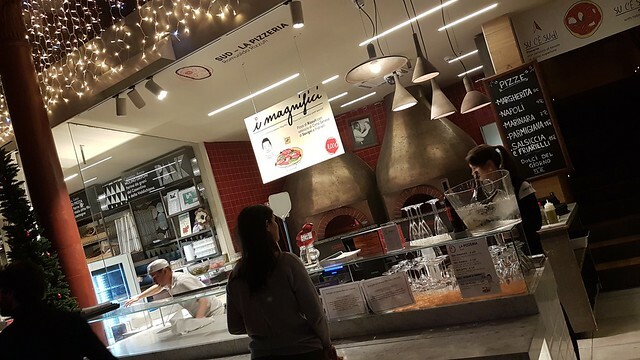 Bonci's pizza by the slice and Trapizzino in Rome were particularly surprising, probably because they have a “food celebrity surcharge” with their skyrocketing popularity. 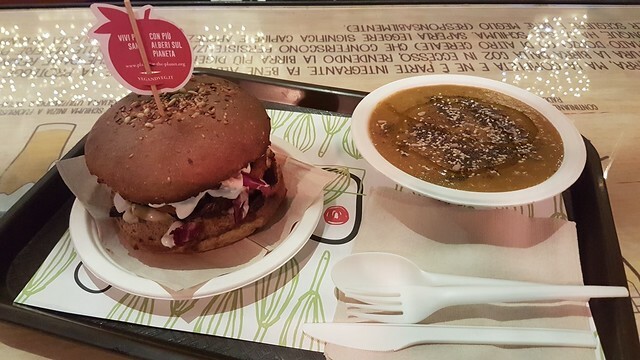 Inconsistent quality: You can dine at a Mercato Centrale and feel transported by the quality of the food coming out of what is, at the end of the day, a humble food court. Then you can return and be sorely disappointed by the tepid, bland, or badly cooked version the following week. Unfortunately, the food can be spotty at both the Florence and Rome locations depending upon the time of day, the crowds, and the staff. Where the quality at a restaurant is generally reliable as there is the same chef in the kitchen and a stable level of service behind every dish, food stands are a little more unpredictable. Mall-like ambience: Though the architecture at both the Florence and Rome locations is gorgeous - a chic update of historic landmarks - both are airplane-hangar sized, and the echoing voices of 500 diners and vendors, music, and noise from the open kitchens is anything but soothing. If you go at a slow time of day, the chaos is somewhat more subdued, but at lunch or dinner, it is elbow-to-elbow at crowded tables, long lines to order and pay for food at each stand, and a sense of having to rush through your food to free up your spot for waiting diners.